Home Events NAMM TRADEX 2019 – featuring the CRAFTEX awards. NAMM TRADEX 2019 – featuring the CRAFTEX awards. 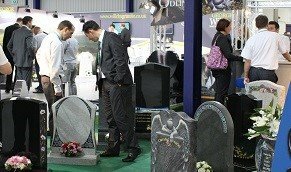 TRADEX 2019 is an exhibition exclusively for memorial masons and provides the opportunity to get hands on and view new products, materials, machinery and services and a great opportunity to network with suppliers, wholesalers and fellow masons. The climax of the show will be the presentation of The Craftex Awards, a national competition for letter cutters, etchers, sculptors, engravers and others working with natural stone. Entry to the event is free, pre registering your attendance will enable swifter entry on the day, and all those that pre register will be entered into a raffle the prize being £200 towards NAMM training. All retail memorial masons are welcome to the event to pre register please contact events@namm.org.uk.